Equidam aims to become the market leader for online appraisal services tailored to SMEs. Equidam’s platform offers the most advanced automated valuation system for small businesses available online. The methodology has been developed internally and tested throughout a 8 months period before releasing it to the public. The Equidam platform offers the perfect working environment to appraise your business and keep track of its progress. Beside internal administration, valuation is also crucial in fundraising or M&A activity, being on- or offline. The platform has a strong focus on user experience in order to simplify entrepreneurs’ task and let them download a state-of-the-art valuation report. In the mid and long-term, Equidam aims to enter the market for accountancy software market by offering customized solution to accounting firms to give them access to opportunities offered by the startup deal flow. The platform is a cloud-based working environment for entrepreneurs and investors offering a quick and thorough business and financial analysis, based on multiple-choice questionnaire and ibasic Profit and Loss (P&L) items. The platform presents the results into a downloadable, state-of-the-art report. A strong attention is dedicated to the creation of an intuitive interface in order to make entrepreneurs' task consistenly easier. For a direct experience, please have a look at our website: http://www.equidam.com and create your account (free of charges). The Equidam service especially targets founders and managers of seed-level, high-growth businesses in search for equity financing. This market section is the one that usually involves the investment by angel investors, early-stage Venture Capital funds, as well as the recently-born equity crowdfunding market. According to the European Business Angel Network (EBAN), every year the affiliated angel networks receive 45,000 applications and conclude in between 1,200 and 1,500 deals at seed level, determining a success rate to applicants of roughly 3% (source: Take It Up Report). In the U.S., a total of 573 angel investments were concluded in 2011 according to the Halo Report by Angel Resource Institute. In the report of 2012 Q3 the number of deals already concluded is 541, projecting that the annual result will reach above 700. Accordingly, the Angel Capital Association (ACA) estimates that each of its 160 angel groups affiliated on average concluded 6.3 deals throughout 2011, projecting the total transactions to 945 (source: 2012 ACA Summit Report). With a success rate similar to that observed in Europe, this projects the estimated market between 23,500 and 30,000 entrepreneurs applying for equity financing. In addition, to this result must be added the applications received by early-stage Venture Capital funds, which in the U.S. also invest at seed level. The PwC Money Tree Report estimates that roughly 2000 transactions were concluded by Venture Capital funds in 2011. With a similar success rate, this extends the audience of entrepreneurs of other 65,000 startups. Equity crowdfunding has an estimated potential magnitude of $300 billion alone in the US according to Forbes – that is, 10 times the venture capital invested in all of 2011. This is expected to determine the birth of several dedicated portals. Nowadays, there are already more than 100 crowdfunding portals worlwide and many more are entering the market as the legislative constraints are solved. Equidam aims to reach the audience of entrepreneurs in the process to raise funds by establishing strategic partnerships with the main players of the sector, being identified in online and offline intermediaries. Online intermediaries are mainly equity-based crowdfunding platforms and other websites working as marketplace for entrepreneurs and investors. Offline intermediaries are business angel associations, incubators and accelerators programs, as well as early-stage VC funds. Our partners will work as ambassadors and promoters of the Equidam service to the entrepreneurial community, being entrepreneurs or investors. For partners keen on integrating the Equidam service within their websites, we offer an API solution to enjoy the benefits of the Equidam analysis directly on the partner's portal. Among the major applications, our API solution is the perfect solution for equity crowdfunding platforms wishing to offer their crowdinvestors an analytical and objective tool to analyze and compare investment opportunities. In the coming months Equidam will achieve substantial recognition in the crowdfunding sector as valuation service and this will increase the rate of adoption of the Equidam APIs among the platforms worldwide. The success in this market relies also on the approval of local legislation that are currently constraining the potential of the market (e.g. United States). The sales of the API integrations are expected to begin from the first months of 2014, with the early-adopters starting pilot plans during the last 3 months of 2013 (October-December). 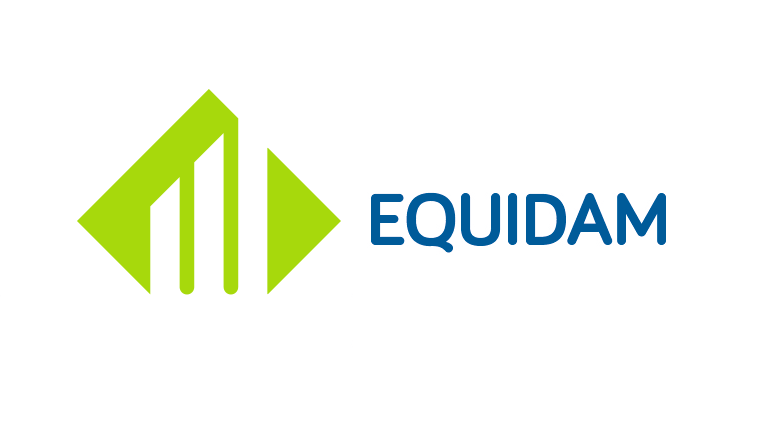 In the mid and long-term, the position and recognition reached by Equidam as pioneer for cloud-based financial services to SMEs will open the path to expand the business model as technology provider for accounting firms. Equidam aims to enter the market for accountancy software market by offering customized solution to accounting firms to give them access to opportunities offered by the startup deal flow. The first steps in this regard will be undertaken throughout 2014 and we expect to convert the first customers by beginning of 2015. The projections assume that the completion of the first financing round for a total of € 60,000 will be achieved by the end of July 2013. The computation of the operating costs, among which the management fees to the Managing Director Gianluca Valentini and the Technical Director Daniel Faloppa, start from July. The operating costs manly involve the hiring of a web-developer with both front and back-end skills and two interns to work on marketing activities. Besides salaries, the use of funds also involves IT-related expenses such as hosting & networking, IT equipment, UX and design consultancy, as well as legal consultancy and office renting. The main target for Equidam and its founders is to maintain a flexible, low-cost organization in order to promptly steer the strategy in the right direction whenever necessary. The revenues of the first two years are predominantly generated by direct sales (or retail) via the strategic partnerships with online intermediaries, mainly crowdfunding platforms. Starting from 2014, the first sales of API integrations with online intermediaries are expected to take place, while the approach to offline intermediaries with accountancy software solutions is expected to be fully achieved by the end of 2014. This is due to the time needed to test and fine-tune the software specifications and adjust it to customers' requirements.